What’s the most worn and well-loved piece of furniture in your home? For our little family of four, it’s the dining room table. This rectangular piece of imperfect wood has become a sacred symbol of our family’s culture, a reminder that God has called us to intentionally gather and share meals around the table, both with each other and frequent guests. Some scholars say that Jesus “ate his way through the Gospels” because there are so many mentions of our Savior sharing meals with people, including a tax collector (Luke 19:1-10), Pharisees (Luke 11:37-54 and 14:1-24), the Feeding of the Five Thousand (Matthew 14:13-21), the Last Supper (Luke 22:7-38), and the meal that followed Jesus’ resurrection appearance on the Emmaus Road (Luke 24:30). Yes, God created us to need physical sustenance from food. What more beautiful way to serve one another than to provide for that basic need? Specifically, how can we help develop our children’s character by engaging in this sacred act together? It might seem daunting, but it doesn’t have to be. 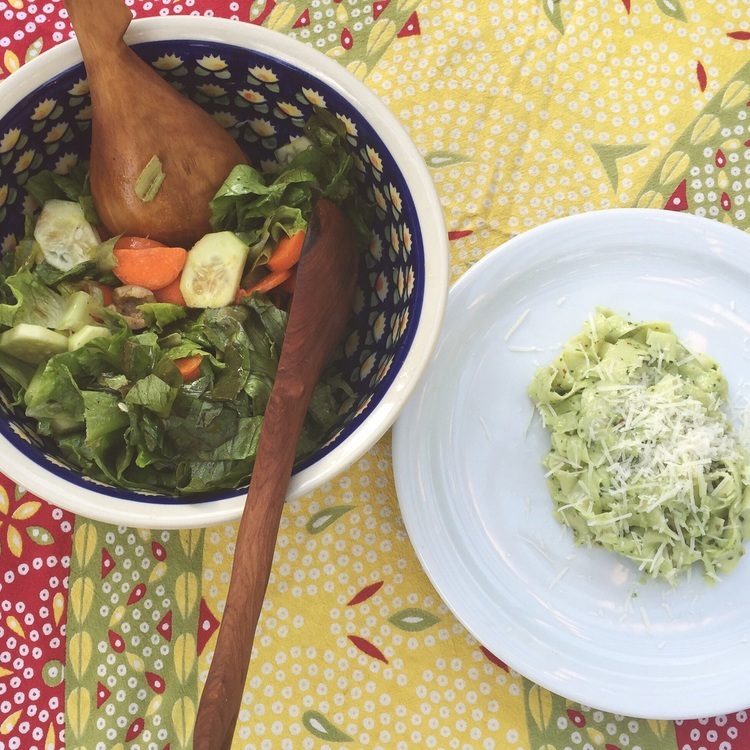 Whatever your day-to-day looks like, whether you work inside or outside the home, perhaps you’re looking for ways to connect with your family and involve your children in preparing and sharing meals together. 1. Let your children help in the kitchen. Y’all, I have a toddler. I know how hard this is...we’re already cleaning up messes all day! But I promise, it’s worth it. Whether I’m making muffins from a box, a smoothie, or a batch of bread dough, my toddler is usually the first one to ask, “Can I help, mama?” There’s always something she can do, if I’ll just relax and embrace the inevitable mess in exchange for the fun and joy of being in the kitchen with my children. One of my favorite winter mornings this past year was when my toddler awoke before her older sister, and we quietly gathered in the kitchen in the dim wintry morning light to make blueberry muffins. Every time I allow her to help, I’m reminded again how much it matters. As my little one stirred the batter and helped drop in the blueberries, she was able to contribute to our family, and it also spurred her to service - her face glowed with joy as she presented a hot muffin to her older sister when she woke up. 2. Choose a simple “go-to” recipe you make together often. Have you ever wrapped your hands around a perfectly smooth ball of bread dough? Well neither had I until about a year ago, when I finally mustered up the courage to try making bread from scratch. It always seemed so complicated and unattainable, but once I tried it I realized how simple it is (not to mention inexpensive!). Now it’s become one of our go-to recipes for a normal cozy weeknight dinner or when guests are coming over. Here’s our favorite No-Knead Bread Dough recipe - it makes a gorgeous artisan-looking boule, and they say “it’s so easy a four-year-old can do it.” Give it a try! 3. Make it fun. We love to play old records in the dining room and light candles when it’s almost dinner time. Even a simple dinner of takeout pizza feels special by candlelight, on real dishes with cloth napkins. This fun and sacred time around the table, giving our children our full attention, might become our favorite part of the day. This way of living is a journey, and it can look different for everyone. At the end of 2015, our family took a big leap of faith and sold our business and home of nine years in Dallas to start a new life south of Nashville. In our old home, I’m pretty sure the scent of garlic and the clinking sounds of forks on plates were permanently infused into the walls. Around our 8-foot dining table my husband built with salvaged barn wood, milestones were celebrated, babies held in one arm while eating with the other, tearful and joyous conversations shared. 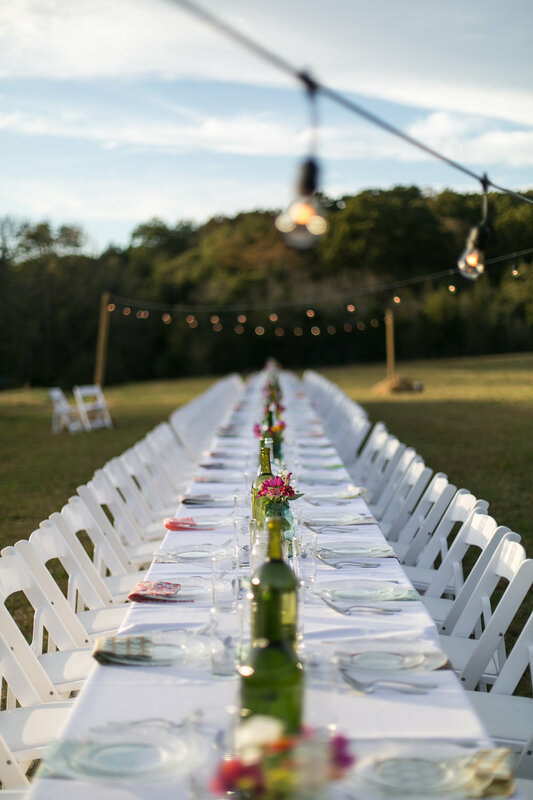 When we moved to Tennessee, we didn’t know where we were going to end up, so we gave our dear, heavy farm table to close friends who would appreciate it and use it to bless others. At our new rental home in Tennessee, we were grateful when a friend gave us a smaller table that seats 6, just enough for our family and a few guests. There are already scratches and pen marks and probably sticky smoothie drippings on the surface. But in less than one year, the memories shared around its edges are numerous. So you see? It doesn’t matter what kind of table there is, whether it’s custom-made or a hand-me-down. It doesn’t matter if the meal is takeout or made from scratch. What matters is the heart and hands behind it. I hope the act of feeding people is something our girls will remember fondly of childhood and take with them as they grow, inviting people of all ages and walks of life around their own tables, breaking bread like their Savior who gives every good gift. This post was originally written in November 2016 as a contribution to JellyTelly.